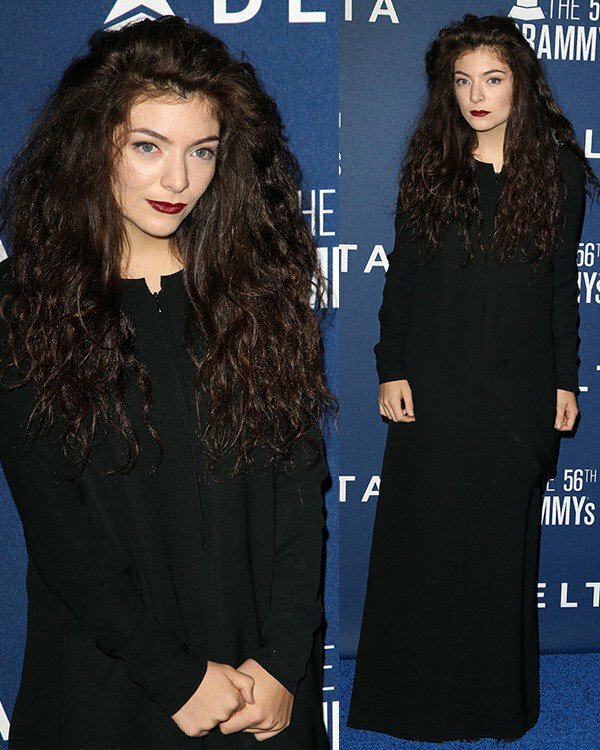 At the recently concluded 56th Annual Grammy Awards, 17-year-old singer-songwriter Lorde received four nominations and brought home two trophies for Song of the Year and Best Pop Solo Performance for “Royals.” With two Grammy awards at the age of 17, Lorde is now one of the youngest-ever Grammy-award-winning artists. We can’t deny that this New Zealand–born star is talented enough to earn those gilded gramophones, however, style-wise, we’re not exactly convinced yet. She may be fascinated with “royals and aristocracy” as noted by her name and her songs, but her fashion sense tends to showcase the opposite of power and regality. Her signature look is mainly an all-black number and a dark lip shade. 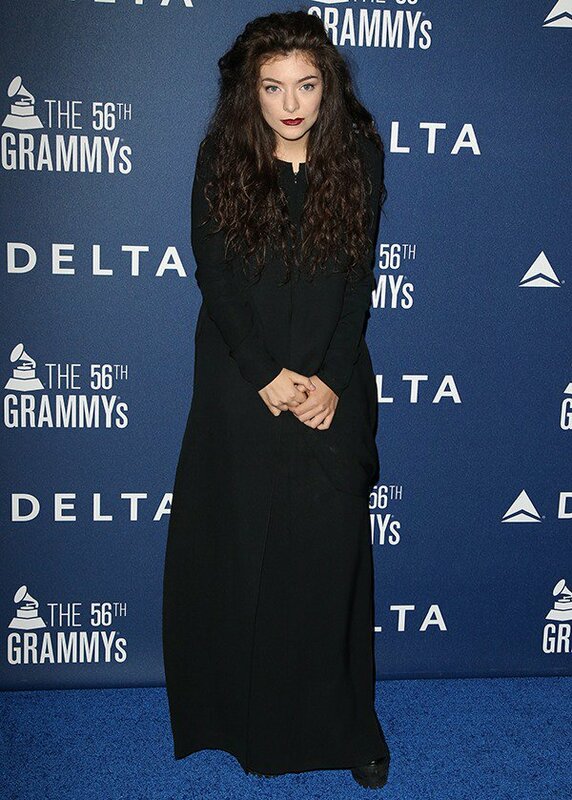 Prior to attending the awards night, Lorde also joined a number of stars at Delta Airlines 2014 Grammys Weekend Party at a private location in West Hollywood. As usual, she wore an all-black ensemble. This included a black dress by Acne and a pair of Stella McCartney boots. What do you think of this look? Are you a fan? 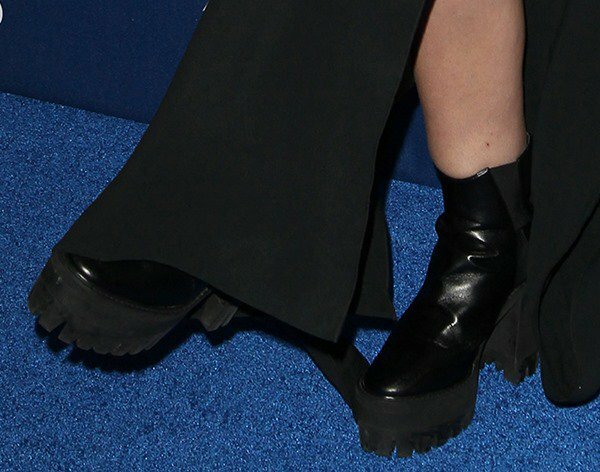 The singer certainly succeeded in looking gothic here, and the ankle boots finished off her dark look. They are made of faux leather and feature back zip fastening, logo-engraved tags, and chunky platforms and high heels with deep-treaded biodegradable soles. Unfortunately, these Stella McCartney boots are already sold out.